What is Translucent Loose Setting Powder? 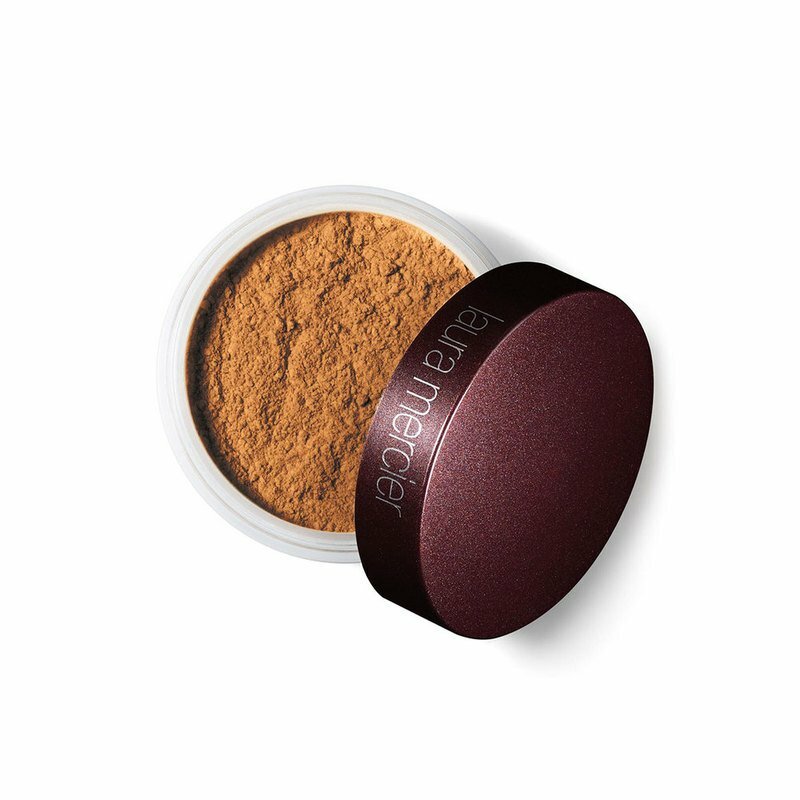 With multiple major awards and counting, Laura Mercier's "best in beauty", cult-favorite bestseller is your go-to setting powder. Loose powder feels luxuriously dense in the jar, feels incredibly soft and silky-light on your skin. Pros love the super smooth application: goes on evenly, blends effortlessly, provides great wear. Sets makeup without adding weight or texture. Modern Matte Finish Creates a modern matte finish with a touch of sheer coverage. The translucent shade works on virtually all skin tones. Soft-Focus Effect for a More Flawless Look Like all Laura Mercier Setting Powders, it has a soft-focus effect that subtly blurs the look of fine lines and imperfections. Doesn't settle into fine lines or pores and never looks cakey. Formulation Details Oil-free. Non-comedogenic. Non-caking. Dermatologically tested. Laura recommends applying with the VELOUR PUFF (sold separately). Only the 0.33 oz size of Translucent Loose Setting Powder comes with the Velour Puff. How to Use: Preparing the puff is key: press the VELOUR PUFF into the loose powder, then work the powder into the puff by folding and rubbing the halves together, or by tapping the powdered side vigorously on back of hand. Gently press puff onto skin, using a rolling motion to "work" the powder in. (Around eyes, use SECRET BRIGHTENING POWDER FOR UNDER EYES.) As with all Setting Powders, apply after any creamy formulas, including cream blush. Pro Tip: When your entire makeup application is complete, including color, give your skin a velvety, finished look by using the POWDER BRUSH to apply Translucent Loose Setting Powder to sides of cheeks, center of forehead, nose, and tip of chin.